Real-world situations, events, and challenges fuel the instructive insights in this relateable guide to networking. All books purchased through RonSukenick.com are autographed by the author. 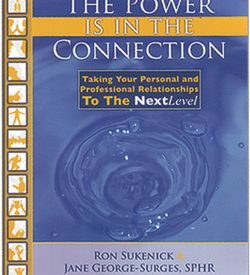 Real-world situations, events, and challenges fuel the instructive insights in this relateable guide to networking. 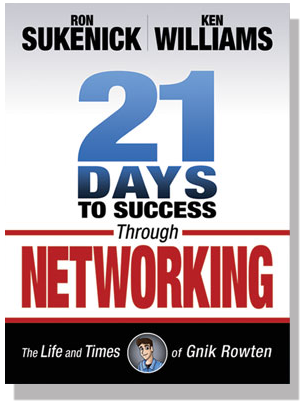 21 Days to Success Through Networking helps readers meet and prepare for reality by presenting scenarios through the perspective of character Gnik Rowten—“networking” spelled backward—who has made a fresh start in a new city where he has few, if any, friends, prospects, or business contacts. Lessons emerge by following Gnik’s life over a three-week period as he discovers and learns tools, techniques, and strategies for effective business networking. Through Gnik’s adventures and sharing his “aha!” moments, readers learn to extend, deepen, and effectively utilize their own personal and business networks. Note: Bulk Pricing is available if you are purchasing more than five books. If you are interested in a bulk order, please contact Ron for bulk rates.